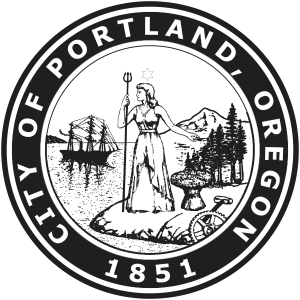 Portland is a city known for its multimodal transportation system – and we are at a pivot point. Our economy is growing and providing job opportunities for more people. Neighborhoods are revitalizing throughout the city – often because they are walkable, bikeable, and well-served by transit. But that prosperity is not shared by all Portlanders. Rising rents have pushed our most vulnerable residents to neighborhoods farther from the city core, where a disconnected street grid results in traffic congestion and makes it difficult to provide good transit service. Low-income residents and people with disabilities struggle with longer travel times, dangerous conditions for walking or using mobility devices, and less frequent transit service. In east Portland especially, transportation inequities threaten our ability to remain a city for all. In the face of these pressures, Portland is at a crossroads. A multimodal future is not just desirable – it’s necessary. Limited resources for new roads, a lack of space in which to put them, and an imperative to reduce emissions and address climate change all point to shifting daily trips away from single occupancy vehicles. But this multimodal future must be accessible to every Portlander. The core issues facing Portland are not unique: we need to improve safety, enhance mobility, address climate change, and create opportunity for all residents. The challenge is to address these issues in a way that ensures equity is at the center of this paradigm shift. Here, that means all Portlanders have access to the city’s best choices – not just the ones that require personal car ownership.